These cinnamon sugar pumpkin muffins are dipped in melted butter then rolled cinnamon sugar when they’re warm from the oven. 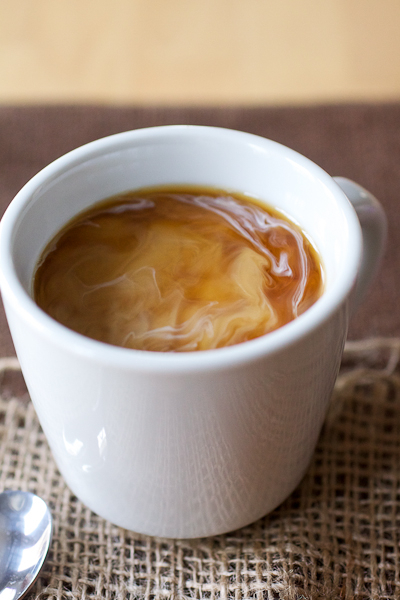 Served with some hot coffee, they are basically the best October breakfast ever. It still remains to be seen if I’m ever going to make doughnuts. I put off making them for years in our last house because I couldn’t take the lingering scent of oil in the house for days. I figured I would wait until we moved in here because we now have a vent that actually vents outside the house. But we’ve been here for almost 8 months and still no doughnuts. It’s kind of sad because I really crave them sometimes and basically refuse to buy them because I know I could just make them myself. These cinnamon sugar pumpkin muffins are kind of a compromise. The recipe is actually for baked pumpkin doughnuts and if you have a doughnut pan, have at it – I don’t. So I made them in mini muffin pans with the anxious hope that they would turn out like little poppable baked doughnuts. They were really more like muffins. And not that there’s anything wrong with that [insert the brushing-away-the-guilt Jerry Seinfeld voice here] because they actually were the best baked goodie I’ve made in a while. Heck, they’re dipped in cinnamon sugar when they are still warm from the oven, but I digress. 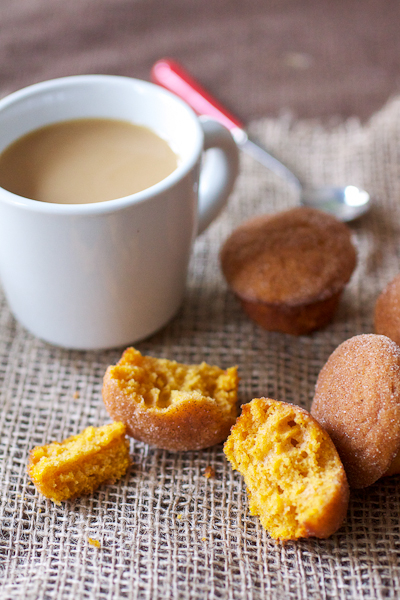 The pumpkin flavor here isn’t overwhelming or cloying like it can be in some recipes and served with some hot coffee, they are pretty much the best October breakfast or afternoon snack ever. The recipe calls for pumpkin pie spice or a mixture of cinnamon, nutmeg, and ground ginger. Shockingly, I ran out of pumpkin pie spice and haven’t had time to whip up a new batch yet so I used the latter. I have no complaints at all about how they turned out so don’t feel like you need pumpkin pie spice for this recipe. However, should you feel inclined to make your own, the link to the recipe I make is below. Also to note, if you use self-rising flour in this recipe, omit the baking powder and reduce the salt to ½ tsp – that’s pretty important. Preheat oven to 350° F. Grease the wells of two 24-well mini-muffin pans with cooking spray. In the bowl of a stand mixer fitted with the paddle attachment, beat the oil, eggs, sugar, pumpkin, salt, and baking powder (see note above if you use self-rising flour) on medium speed until the mixture is smooth, about 1 ½ minutes. On low speed, stir in the pumpkin pie spice or the cinnamon, nutmeg, and ginger, as well as the flour until they are completely incorporated – do not overmix. Fill the wells of the muffin tin ¾ full. Bake for 14 to 16 minutes or until the tops of the muffins are springy when lightly touched. Cool the pans on wire racks for 10 minutes then remove the muffins from the pans. While the muffins bake, stir together the sugar and cinnamon in a small bowl until well mixed; set aside. 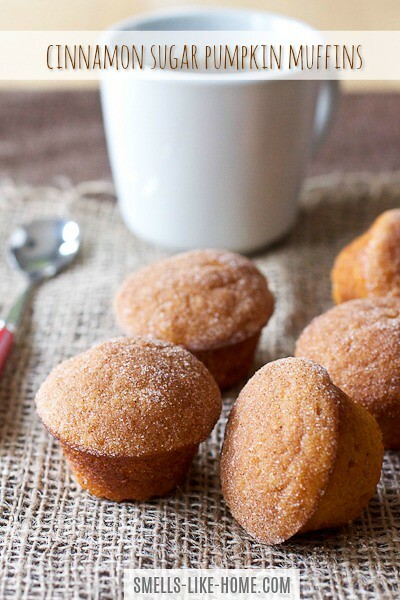 Dip the tops of the warm muffins in the cinnamon-sugar topping. Keep the unused topping in a sealed container if you need it again – keep reading. Serve warm or at room temperature. The muffins will keep in an airtight container at room temperature for 2 to 3 days. They may need another dip through the topping before serving if it looks like the muffins absorb the topping. This, of course, isn’t a bad thing.